When it comes to the health of your Skin and bones, collagen is incredibly important. If you would like to maintain a fresh and vibrant appearance at all times, your body needs to continuously produce the correct amount of collagen. Sadly, factors like being out in the sun for too long or smoking cigarettes can have negative impacts on your body’s ability to produce the right level of this useful protein. If you believe your skin could use a bit of a boost in regards to collagen production, now is a wonderful time to consider a few useful tips. Taking the right supplements and engaging in healthy daily practices can do wonders for enhancing your body’s natural ability to produce collagen. Consider these ideas and see what tactics might be the most useful for your goals. Vitamin C is a Vitamin with a lot to offer the body, assisting with the functions of the immune and digestive systems. On top of this, Vitamin C has also been shown to have a huge effect on repairing and restoring specific tissues. When your body does not seem to be producing collagen at the rate you require, then you might find it useful to consider Vitamin C supplements. Not only does Vitamin C aid in the process of repairing sensitive skin tissue, it can also provide an improved level of protection against certain environmental elements. 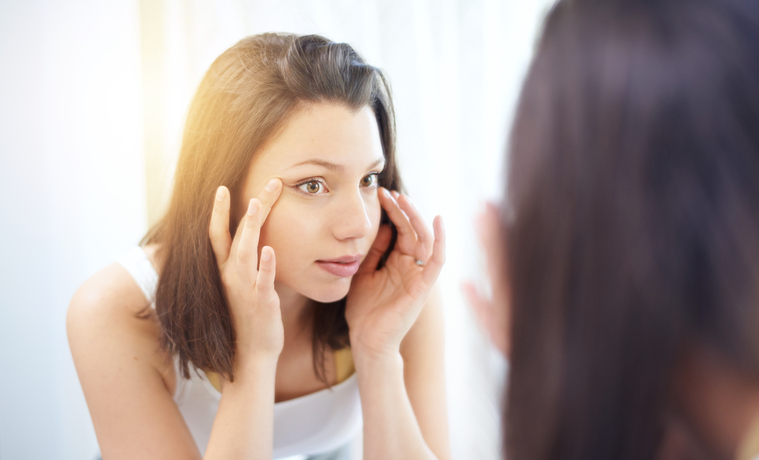 Sun damage is one of the larger concerns to stay mindful of when it comes to the health of your skin. Though you should always use sunblock to protect your skin from conditions like melanoma, taking Vitamin C supplements can be the extra line of defense your skin requires. Most people understand how important sleep is to health and wellness. As you drift off into slumber, your body begins a restorative process to counteract the damage done throughout the day. When you do not get enough sleep, it dramatically decreases your body’s ability to tackle this goal. Those who do not get a full night’s rest of about eight hours are likely to see an increase in inflammation from increased stress hormone production. These hormones are produced when the body is struggling to stay awake and can stand in the way of your body generating or repairing collagen. The answer here is clear: get consistent and appropriate sleep. Your body will produce collagen naturally but you definitely need to do some of the work yourself. While you might feel like you have too many obligations and responsibilities to hit the hay at a normal hour, you will find that it is far more beneficial to your health to make the time to get a full night’s rest. This might seem a bit obvious but what you eat is also going to hold sway over your body’s ability to generate collagen. In order for you to see the glowing skin you desire, you are going to need to make sure that you are getting the right nutrients in your daily meals. Lycopene is an antioxidant that has been shown to counteract some of the damage done to the skin by environmental factors like pollution. Often, the skin takes on damage simply by being exposed to polluted air. Eating foods rich in lycopene can help to keep your skin fresh, so be sure to stock your cart with tomatoes the next time you hit the grocery store. You can also explore lycopene supplements if you don’t think you’ll be able to swing extra fruit in your daily diet. It might also be a good idea to focus on foods containing Vitamin A. This vitamin is responsible for keeping organs functioning properly and your skin is considered the largest organ of your body. Sweet potatoes are a delicious and effective source of Vitamin A.
Joe Palinsky is a full-time writer and theater professional in Philadelphia. He predominantly works with ensemble-based Found Theater Company, where his writing has been featured in numerous productions. Though primarily a ghostwriter, his work has been published in the now-defunct Spirit News and as a guest on Found Theater’s blog. The post 3 Ways To Boost Collagen Naturally appeared first on Lucky Blog - The LuckyVitamin.com Health & Wellness Blog.